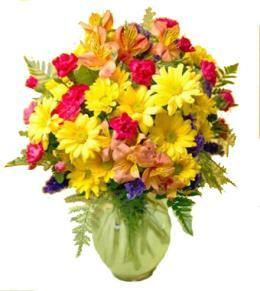 Color Choice in order form . 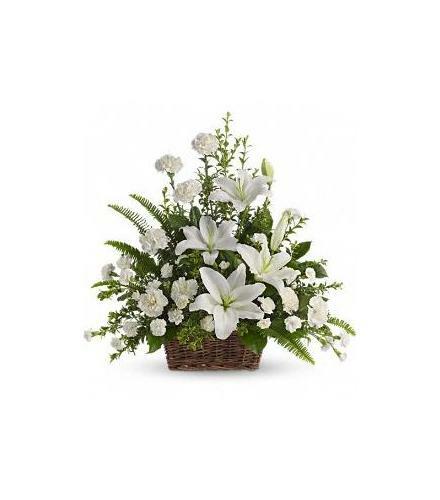 Gorgeous flowers such as lilies, carnations and miniature carnations mix with vibrant greens in a basket. 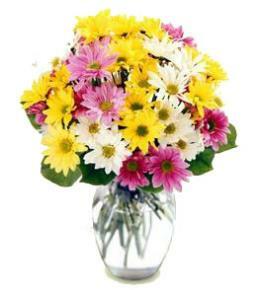 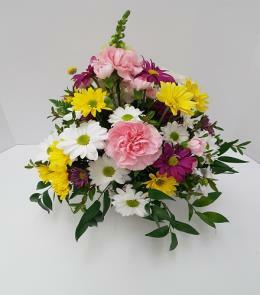 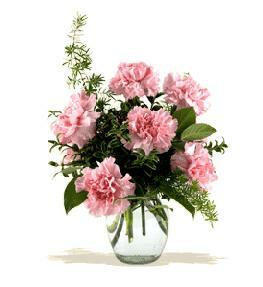 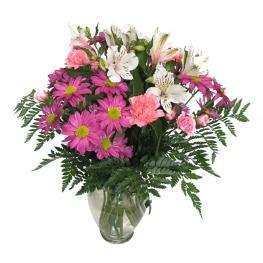 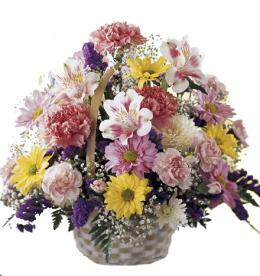 Simply stunning.. Color choice available..Featured Floral Selection - Peaceful Floral Basket T228-1.